Once you’ve grown your nails to the length you prefer, shape them with a nail file. There are many different shapes to choose from and each has its own disadvantages and advantages. 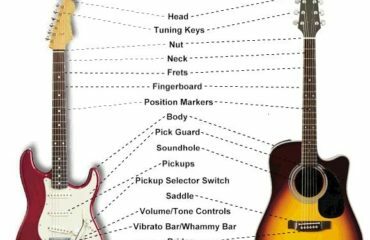 Rounded fingernails: are the most common guitar nail shape. They are versatile, produce a balanced tone and are easy to use. They should be the choice for anyone who is still unsure of the particular nail shape they want to go with. 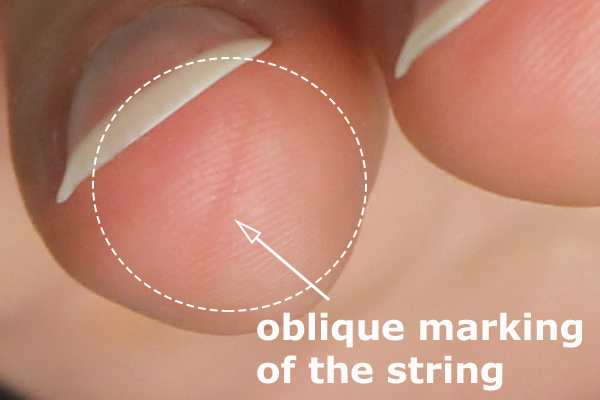 Sloped fingernails: are the most common next to the rounded shape. They reduce resistance when plucking and a produce a warm, mellow tone. To make a sloped fingernail, file the tip of the nail so that it slopes either to the left or to the right. Flat fingernails: make it easier to push your finger through the string and to produce a very warm, mellow tone. Flat nails are especially suited for techniques such as rest stroke and fast scales. Pointed Fingernails: are the least common of all the guitar nail shapes. They are preferred by some for the consistent bright sound that they help to produce. After you’ve shaped your nails, polish the tips of each with extra fine sand paper until they are nice and smooth. This will get rid of the “scratchy” texture of your nails and help to give a clean, smooth tone. Try using 500 grit “open-coat” and paper. You can buy it from most hardware stores. 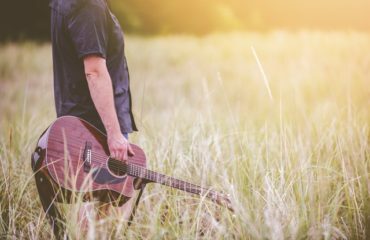 Come up with a set of exercises that represent a comprehensive example of guitar technique. 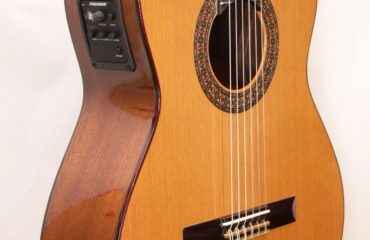 For example: scales, arpeggios, slurs, rest-stroke, free-stroke, etc… Then make sure your nail easily allows you to play all the different techniques. Listen to your tone and find out why different nail shapes affect your sound. Experiment with different shapes to discover what works better for you.